Eastern Promise are heavy gauge hollow stair rods in 5/8" diameter and are available with a range of imposing finial and rod designs to compliment your interior design. Perfect for a grand staircase but equally at home on a standard staircase. Available in a range of colours allowing numerous combinations of rod and finial style to give your staircase the perfect finish. Finishes: Polished Brass, Antique Brass, Antique Bronze, Satin Brass, Black, Pewter, Polished Nickel, Satin Nickel , Brushed Chrome or Chrome. 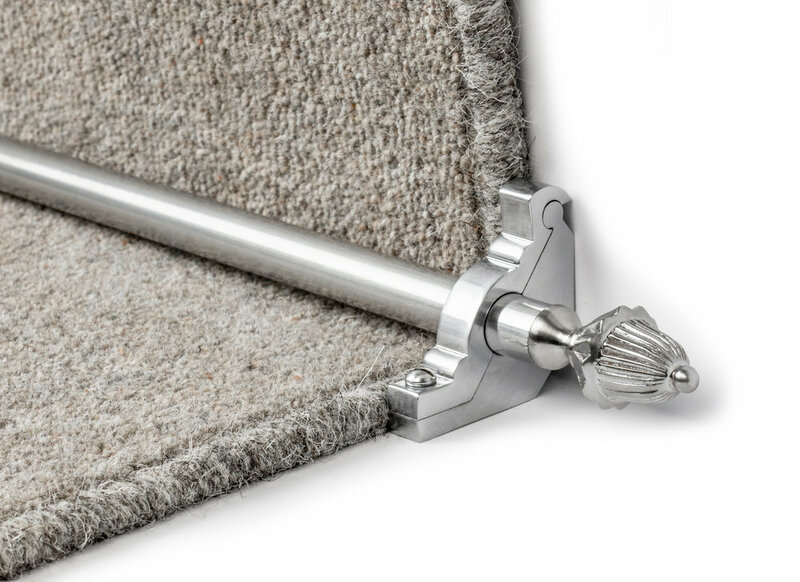 Measuring - length should be approximately 6” over the width of the carpet (3” each side). Express Shipping: $50 flat rate shipping charge. Delivery - 7-10 business days.